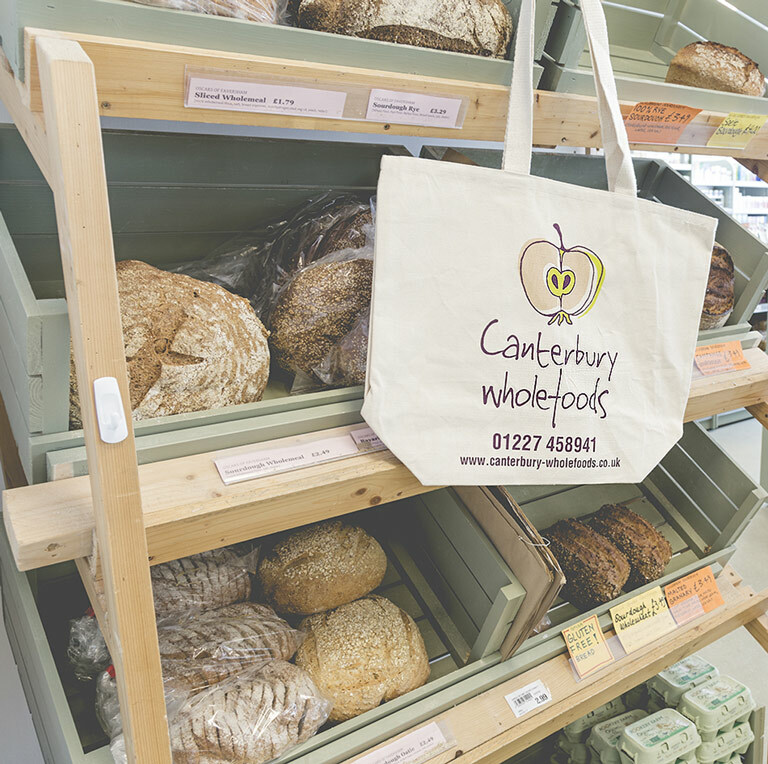 Welcome to Canterbury Wholefoods, a vegetarian health food shop based in the heart of the Cathedral Quarter. We are an independent shop that has been trading in a variety of locations around Canterbury since the early 1970’s. We are now a family run business, headed up by Martin, who has worked in the shop since 1995 and is a familiar face to many of our customers. We love our food, and love to provide you with wholesome, delicious, ethical ingredients, favouring organic, fairly traded and local products over big name brands. It is our policy to stock no genetically-modified goods and no products that involve animal testing. Our experienced, trained staff are always on hand to offer you advice and information, and you can also follow us on our socials for extra tips on products and what to use them for.